Press release from Boys & Girls Nursery, Croxley Green. 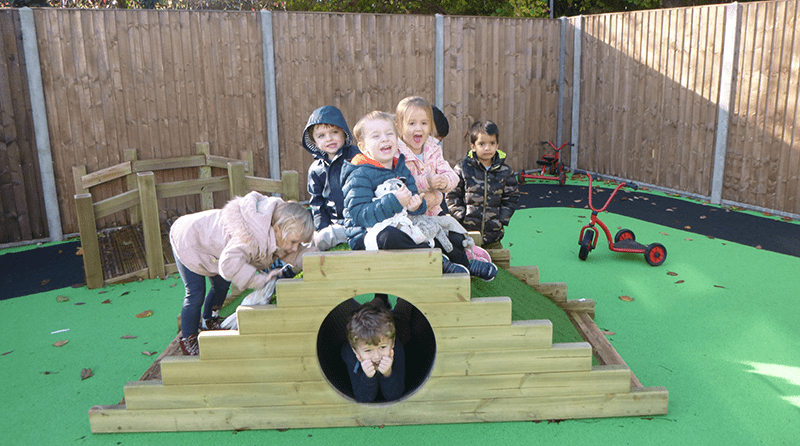 Boys & Girls Nursery, a family-run and thriving group of local nurseries is enjoying its 6th birthday in Croxley Green with a move to a new location on Croxley Park. The new setting boasts an impressive outdoor space allowing the children to enjoy the benefits of outdoor play in all weather. The children have been visiting the site regularly to see the developments as the nursery took shape and are excited to engage in the new activities on offer, from experimenting with the water wall, climbing up and over the bridge and enjoying the roleplay hut. The new facilities have been greeted with enthusiasm by both the children and parents alike.